Here's how to find, plan and manage a yacht charter, from someone who has captained many around the world. So you own a 50-foot boat and are wondering why you’d ever need to read a feature story about yacht chartering. Well, chartering is a great way to go boating in a different part of the world without owning a globetrotting vessel and having oodles of time. Chartering means different things to different people. Some want to go it alone and prefer a bareboat, and more charter companies, such as The Moorings and MarineMax Vacations, are offering power options, including monohulls and catamarans from 38 to 58 feet available on a bareboat basis. Others want to enjoy a luxury crewed experience on a large yacht, preferring to take multiple generations of family and friends and focusing on fun rather than the details of running the boat. 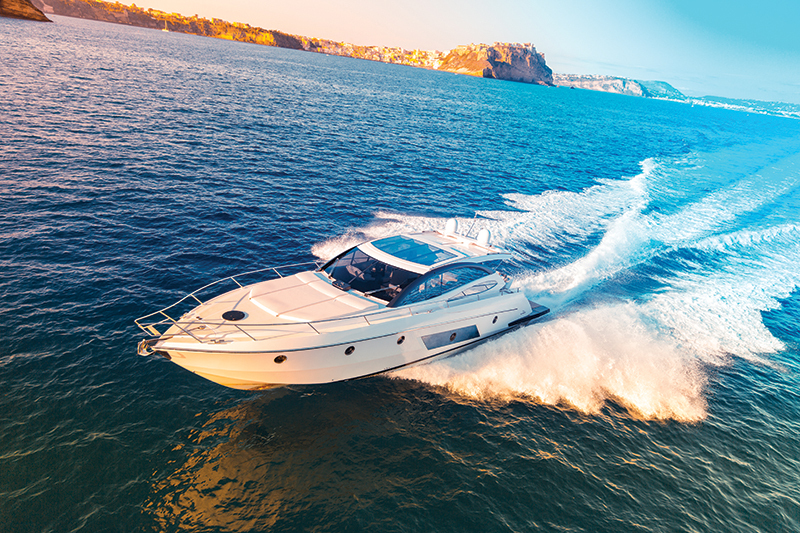 Both kinds of chartering have dos and don’ts to keep in mind. Crewed charters provide a staff who can help you enjoy the vacation. Smaller boats — say less than 60 feet — will usually have at least a captain and sometimes a chef. Larger vessels, from 60 to 200 feet, will have a full staff that includes a captain, a mate or deckhand, a chef and a stewardess. 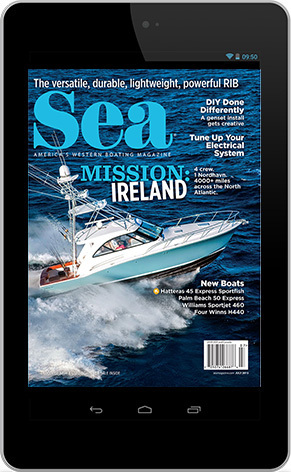 Misty Johnston, owner of Northrop-Johnson Yacht Charters in Rhode Island (not affiliated with Northrop & Johnson Yachts), is a certified charter broker who works with yachts from 50 to 200 feet. She said these yachts usually carry up to 12 passengers and comply with SOLAS, the International Convention for the Safety of Life at Sea, a maritime treaty that sets minimum safety standards in the construction, equipment and operation of ships. This industry of superyacht charters isn’t specifically licensed but is self-policing. Such high-end yachts are part of a database called YACHTFOLIO, which specialized brokers access to find vessels that offer charter in different parts of the world. Brokers who work with luxury crewed charters typically belong to one or many professional associations, including AYCA (American Yacht Charter Association), CYBA (Caribbean Yacht Brokers Association) and IYBA (International Yacht Brokers Association). 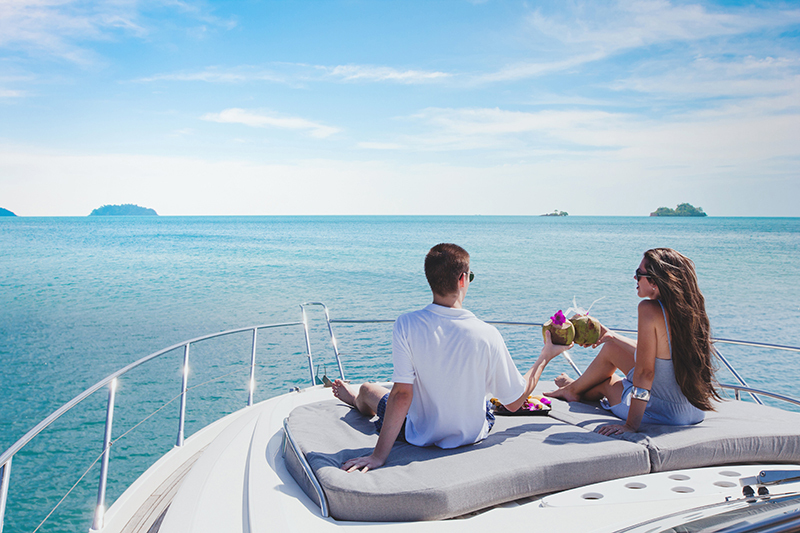 To undertake a large yacht charter, start by finding a broker via one of these organizations. Consider your group. How many people? What are their ages and energy levels? The limit is usually 12, but if the group consists of a mix of kids, grandkids and grandparents, the broker will need to know, so he can recommend a yacht that specializes in multigenerational guest experiences. You’ll also want to give the broker information about how active or sedentary your group is and the needs of the kids. A good broker will be able to help with all of these issues, provide a sample itinerary and the layout of the yacht, and have crew arrange for time ashore. “An evening at a Greek taverna can be about much more than the food for those who like to experience the local lifestyle,” Johnston said. Once such details are covered, you’ll need to sign a contract that is a binding document between two individuals: the principal charterer and the owner of the yacht (usually represented by an agent). At this time, you’ll need to pay a 50 percent deposit, with the balance usually due four to six weeks before the charter date. The deposit is held in the owner’s agent’s escrow account, and a portion will be released to pay for fuel and provisioning in advance. Then, another 50 percent will be released to the owner upon successful boarding completion. This is for your protection, so the yacht is where it’s supposed to be and when for your vacation. You’ll hear the term APA (advanced provisioning allowance), which covers food, drink, fuel, berthing/mooring costs, customs fees, communications, etc. It’s usually 30 to 50 percent of the base fee of the charter. APA is payable in advance of a yacht charter at the same time as the initial charter fee and is usually handled via bank transfer. Some yachts, specifically ones that operate in the British Virgin Islands, are priced on a “plus-all” basis, which is, more or less, all-inclusive. The BVI is a small area, so food and fuel costs are somewhat predictable, which is why plus-all works here. Other areas will have a base plus expenses that include transport costs (APA) and tax (VAT), which varies by location, from 4 to 22 percent. 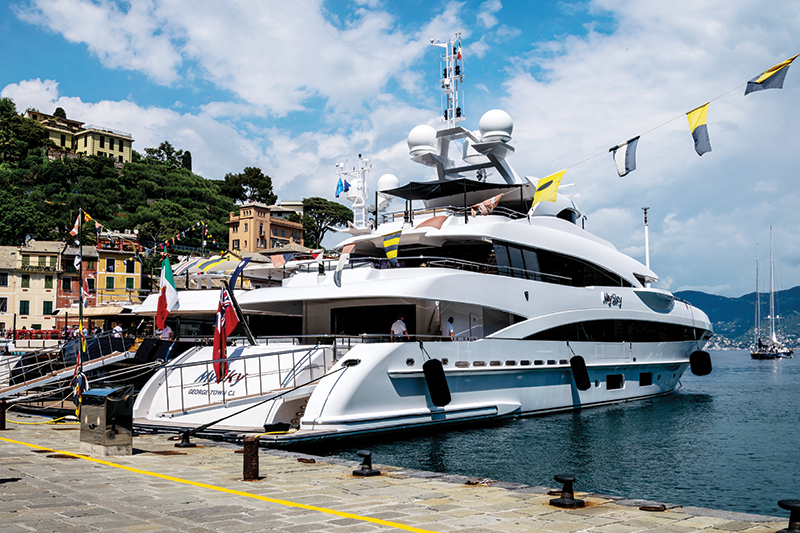 Due to such costs and extras, Liz Howard of Fraser Yachts in San Diego will often break everything into three payments, if the charter is booked more than a year in advance. Good crews are trained to watch for what people enjoy during the cruise, so they can supply more of that activity, food, entertainment or whatever. This is your charter and most requests — unless they affect the safety of the guests, crew or vessel — will generally be accommodated. Crews that maximize the fun are often followed by guests even if they switch vessels in the future. A crew that goes the extra mile to mix things up can be invaluable, especially on charters with kids. The best thing to do during the cruise is just enjoy and let the crew know what you’d like more or less of. Also, check on the tab, so you know how your budget is doing. The captain keeps a running expense log and will show it to you upon request (along with receipts), to give you control and to avoid any nasty surprises. With the charter complete, the captain will sit down with the principal charterer and review the expenses. Most fees are paid in euros or U.S. dollars, and if you exceed your APA, you’ll need to settle up. Crew gratuity may be left in cash or wired after the trip. If satisfied, expect to pay 10 to 20 percent of the base fee of the charter in tips in the U.S., the Caribbean and the Bahamas. European charters usually garner 5 to 15 percent, because tipping norms differ there. The broker will typically review the trip with you and perhaps help plan your next one. A bareboat charter is simultaneously more straightforward but also perhaps more work than a crewed charter. The opportunities are many. 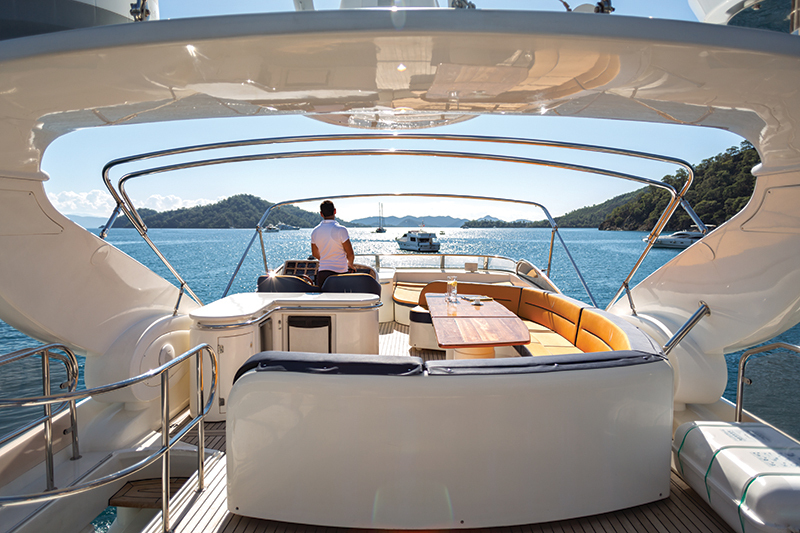 Numerous charter companies have bases in different parts of the world, and while most of them focus on sailboats, more powerboats are popping up. 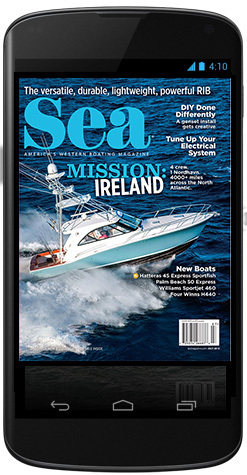 Depending on the location, some charter companies focus more on power than sail, such as Anacortes Yacht Charters and NW Explorations in the Pacific Northwest and VMY in the Caribbean. 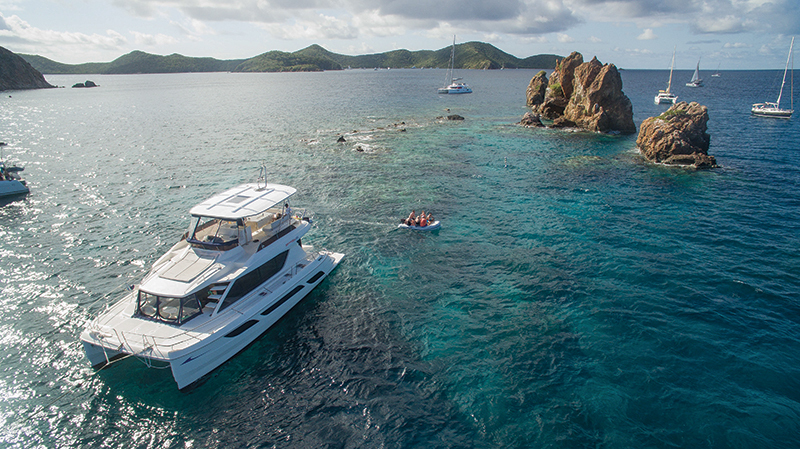 The nice thing about chartering a power catamaran, whether in the BVI or Croatia, is that you’ll be able to cover more territory in less time and won’t need any wind to do so. Same as with a crewed charter, decide where to go, how many people to bring and what you want to do. 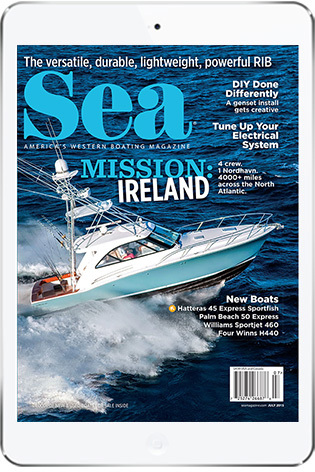 Then contact the charter company for the availability of powerboats, the timing of high and low seasons — prices vary, and in some areas charter companies take a break during hurricane season — and the costs. You’ll be asked to produce a boating resume and/ or complete forms regarding your boating experience. If you aren’t sure of your skills or want more time to focus on family, you can ask for a local captain to run the boat and suggest an itinerary. The captain will stay aboard and will be an added expense. A 50 percent deposit is due at the time of booking, with the balance due four to six weeks prior to the charter. Barbara Jones, a charter broker who works with bareboat and flotilla charters, recommends everybody carefully consider the number of people to take. You don’t need to use a broker. Most companies have a toll-free number where agents will help select a yacht based on group size and budget. Larger companies offer a fairly predictable product with wellequipped and maintained boats, accessible bases and informed base managers. Where you’ll want to use a broker, according to Jones, is for non-standard fleets, exotic locations or shoulder seasons — areas where a broker’s knowledge of the fleets, weather and itineraries are most valuable. Lucas of VMY says lead time for bareboat charters is six months, on average, for non-holiday times. To book Christmas, New Year’s or Spring Break weeks, expect to book up to a year in advance. If you’re the captain, keep a few things in mind. First, you’ll need to familiarize yourself with the cruising grounds, and that means reviewing charts and learning about the area so you can serve as a cruise director. Also, consider the dynamic of being the one in charge and how family and friends will react. Will they be able to help you run the boat, cook, lift stuff? Will they be keen on taking orders from dad? Professional captains have the difficult job of managing guests, but they usually benefit from a certain amount of deference regarding the operation of the boat — deference that may not extend to you. The first day of a charter is usually hectic for a bareboat captain but a hurry-up-andwait situation for crew. If kids are involved, arrange for their entertainment so you can focus on the chart briefing and technical checkout of the vessel. Ask lots of questions, take notes and pictures, and maybe even record the briefings on your phone, because that first day is long and filled with more information than one can remember. Ask for toys — kayaks, SUPs, etc., that will be an additional charge — and a cockpit cooler to keep drinks in, so you don’t need to open the refrigerator frequently and therefore strain the batteries. Have your checkout manager go over every system including charging and monitoring batteries, water-maker operations, generator start/stop, etc. Start the engines, including the dinghy’s outboard, and test the windlass. Inquire about the location of the breaker for certain systems such as the windlass or the electric dinghy davit. Turn on the electronics and make sure they display in English and in feet. If you’ll be moving between different countries/islands, be sure you know the check-in/out procedures and locations of customs and immigration offices. Take note of the fuel and water levels before departing the dock. Armed with charts and local knowledge from the chart briefing, you’ll be on your own. That means you’ll have to manage water, power, and trash and set an itinerary. You’ll need to set expectations, too, for what can and cannot be done. In some cases, you’ll need to remind guests they’re on a boat and the conveniences of home may not be available. Opt for “partial” provisioning from the base. That way, there will be some food aboard for the start of the vacation and the heavy stuff such as water and ice will have been carried aboard by others. Don’t take full provisioning, because you’ll want to eat out and won’t know the group’s preferences yet; plus, it’s cheaper to provision along the way. Bring cash in smaller bills. Nobody wants to change a $100 bill for a loaf of bread. Decide on rules for yourself too. When does the party start? In some cases, that means no beer until the anchor’s down. Do you have a plan in case of an emergency, whether the batteries go flat or there’s an injury aboard? How will you manage conflict? Can you trust yourself not to bark orders even when there’s an urgent need for something to be done? The best thing is to sit down with your crew on the first evening and examine everyone’s expectations, because it’s their vacation too. If you have a professional captain but otherwise are managing on your own, be ready to assist, whether that’s lowering a dinghy into the water, helping to drop or retrieve the anchor or cleaning up after a meal. You can also learn from a local captain, whether it’s about the operations of the boat, the details of the location, or what there is to see and do. It may be your charter, but there’s only one captain and she has the final say, especially if it involves risk to the crew or vessel. 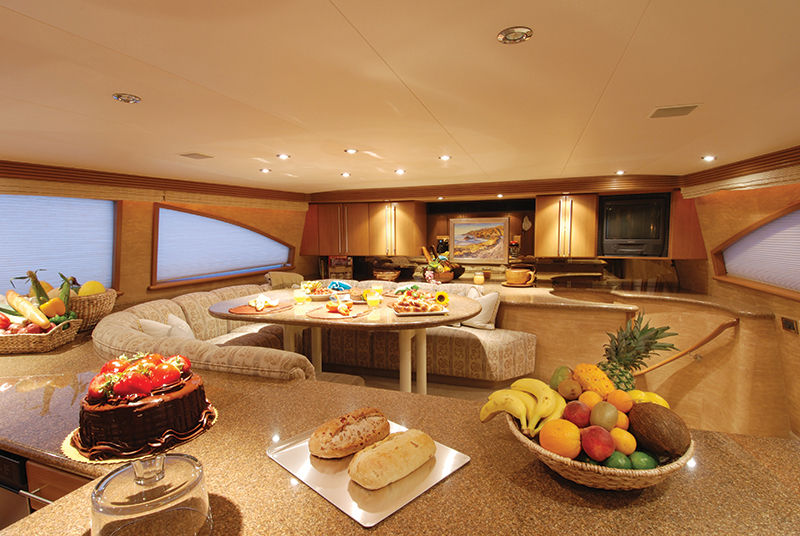 Finishing up a bareboat charter usually involves minimal preparation. Most companies ask that you pull bed sheets and pile them and the towels in one location. Leftover provisions are usually set out on the salon table but refrigerated items can stay in the reefer. No special cleaning is needed, and the base crew handles the removal of any toys. Some bases will allow you to bring the boat to a slip while others ask you to grab a mooring and wait for the checkout crew to join you. The crew will usually dive the boat (to see if you grounded), fuel it and put it back in its slip. They will also ask you if anything broke along the way, so they can attend to it before the boat goes back out. This is also the time to tip your pro captain. Some work harder than others to make your vacation a good one, so it’s completely discretionary, but roughly $50 to $100 per day is the norm.